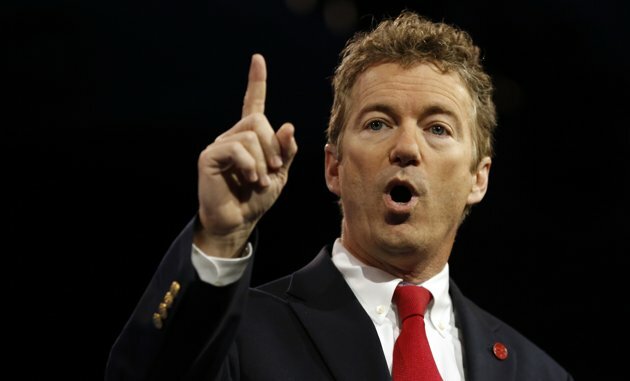 Last week, Senator Rand Paul spoke out on behalf of immigration reform. His proposal for reform surprised many, as he usually takes a more conservative stance on social issues. However, it’s apparent that even some of the most conservative factions of the GOP are realizing that it is not a smart move to be on the wrong side of the immigration debate as consensus has been increasingly shifting in favor of a fair reform. The need for an identification system such as E-Verify. The need for immigrants to pay back taxes in order to earn some sort of legal status. First off, when speaking of E-verify, Paul said that he was against the program because he “would prefer the government to be the policeman and not the businessman.” Though justified in saying that the burden of employment verification should not completely fall on business owners, a program such as E-verify is essential to assure that illegal immigration stops. If an identification system which checks the eligibility of immigrant workers is eliminated, workers will have less incentive to come and find employment through legal means and the rule of law will not be upheld. On the other side of the issue, programs such as E-verify are essential in assuring the safety of the workers themselves. If a worker comes to the US and is able to easily acquire a job without some sort of legality, illegal border crossings will continue. Crossing the border illegally has resulted in the deaths of workers, as conditions on the border remain dangerous. If workers know from the beginning that they will not even be able to acquire a job upon arrival in the US, they will most likely not attempt the risky business of crossing the border illegally to begin with. Thus, a program such as E-verify will not only uphold the rule of law, but it will also ultimately serve to protect the lives of potential workers. However, Paul is right in saying that the burden should not fall fully on the businessman. When Congress drafts the specifics of an immigration reform bill, like an identification program, it should take into consideration that ultimately businessmen themselves are not immigration officials. This is not to say that it is not the businesses job to only hire those who are eligible to work here legally. However, any sort of identification program should be efficient, reliable and as easy on the employer as possible. Another area of disagreement between Paul and the gang of eight is whether or not unauthorized immigrants should pay back taxes when earning some sort of legal status. Paul believes that they should not pay penalties. While most conservatives agree that breaking the law should have some sort of consequence, when it comes to immigration reform, the devil is in the details. While it is imperative that those that earn some sort of legal status pay back taxes, it is also important to be aware of what an undertaking this would be for both the IRS and the immigrants themselves. Paul is right to acknowledge that making immigrants pay back taxes, even though entirely fair, has impractical realities to it. However, one practical solution would be to make immigrants pay up to five years of back taxes, and if they owe more than that, then a flat fee should be added to the amount of taxes amassed during those five years. Tags: E-Verify, Gang of Eight, GOP, Immigration, Rand Paul, Senate. Bookmark the permalink.